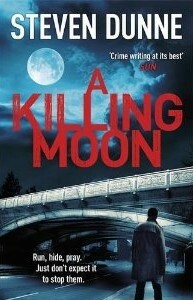 A Killing Moon is a finalist in the East Midlands Book Award a prestigious literary prize. The winner will be chosen at the Lowdham Festival on June 17th at St Mary’s Church, Church Lane, Lowdham, Notts NG14 7BQ. The presentation will start at 6pm with readings from each of the finalists before the prize is awarded. The other books in contention are The Boy in the Mirror by Tom Preston, Melissa by Jonathon Taylor, Burning Books by Jess Green, The Spice Box Letters by Eve Makis, The Princess and the Giant by Caryl Hart and Sarah Warburton. The judges are novelist and past winner, Alison McQueen, short story writer Dan Powell, and The Bookcase owner, Jane Streeter. This is a FREE event and all are welcome. Thank you Pattie. Fingers are crossed.